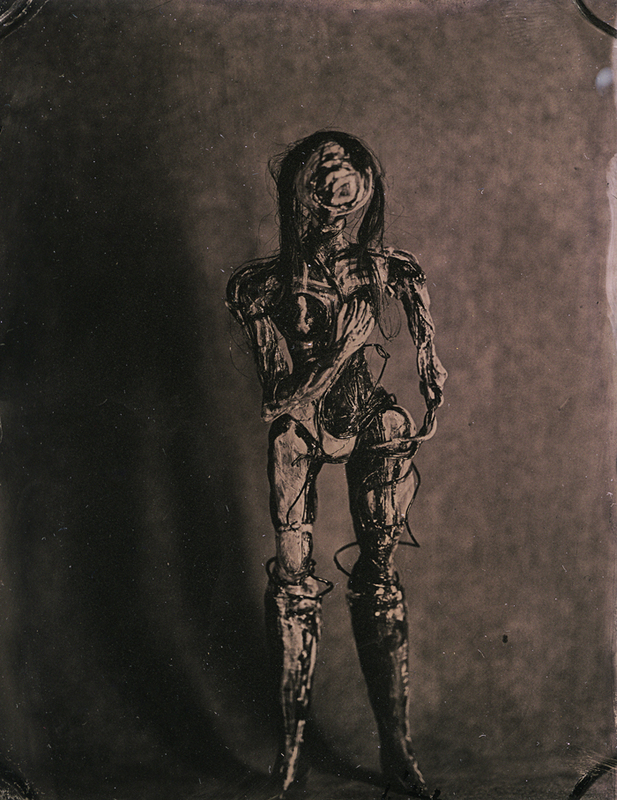 Handmade dolls and photographed with wet plate. Hand painted glass then photographed on slide film framed in a wooden light box. Please click to view larger.